Heat oil in kadai , add cumin seeds , hing , garlic and saute till brown . add tomatoes , moong dal ,salt , mix well .cook for 1 minute . 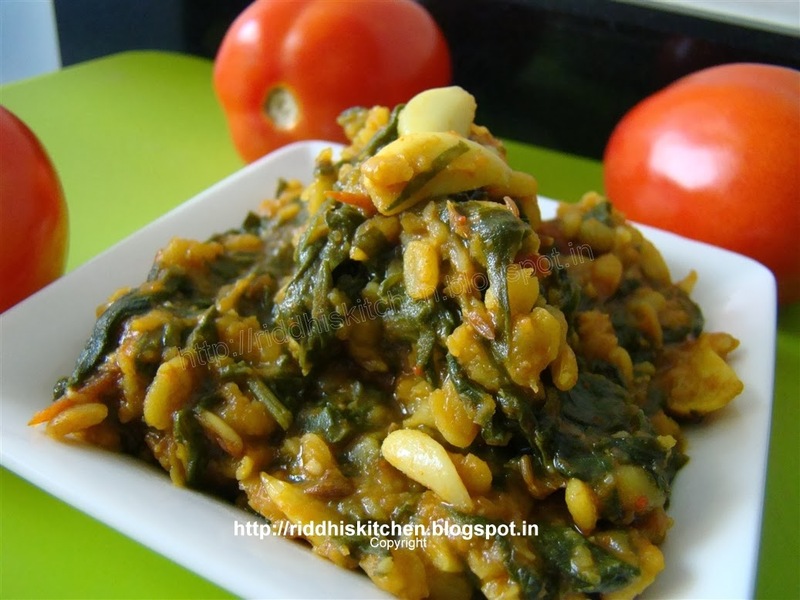 Add chopped palak leaves ,red chilly powder , coriander powder , cumin powder , mix well . cover with lid and cook for 5 to 6 minutes or till done . add garam masala and mix well . cook for 1 minute and serve hot with roti .